Will the opportunity zone initiative accelerate the nation’s transition to renewable energy? Find out why solar energy development and opportunity zone investing may be ideally suited for each other. 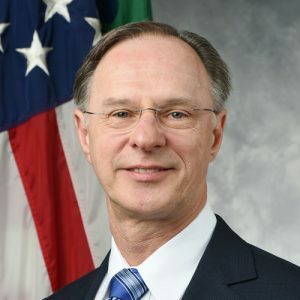 Today’s guest is Allen Alley — technology investor, former Republican candidate for governor of Oregon, and co-founder of the Obsidian Opportunity Fund. Obsidian’s fund applies opportunity fund investing to renewable energy, and solar in particular. Click the play button below to listen as Allen and I discuss his vision for ubiquitous, low-cost, CO2-free power, and how opportunity zones may help make his vision a reality sooner than you think. What exactly goes into a utility scale solar development project, and how balancing several different investment vehicles, regulatory and land-use issues, and working with local utilities makes it very complex. How a solar development project gets sited and funded, and the challenge of aggregating land from several landowners. Why so few projects get built on state or federal land, and why that may be a missed opportunity. Obsidian’s preferred equity model and how it differs from the goals of investors seeking current income. Plus, how this tends to dictate why their capital base is patient capital. Obsidian’s exit strategy after Year 10. The current state of solar and battery technology, and when solar will reach grid cost parity (hint: it may already be there). And why widespread solar adoption may come sooner than you think. Characteristics of the opportunity zone initiative that go hand in hand with renewable energy development. 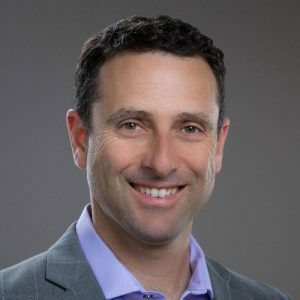 Co-founded by Allen Alley and David Brown, Obsidian has pioneered the development of some of the newest solar projects in the United States. And they have found that opportunity zones and opportunity fund financing can provide significant advantages to traditional financing. 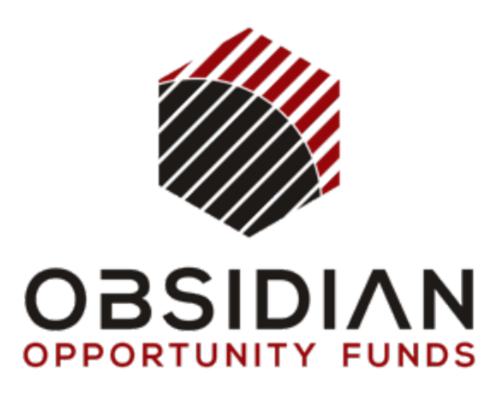 Currently, Obsidian has three projects that can absorb approximately $50 million of opportunity zone fund investment, and pipeline to additional projects that will require hundreds of millions of dollars of OZ fund investment over the next three to five years. Jimmy: Welcome to the “Opportunity Zones Podcast.” I’m your host, Jimmy Atkinson. Today I’m speaking with a technology investor and former Republican candidate for Governor of Oregon. He’s the co-founder of the Obsidian Opportunity Fund, which specializes in renewable energy development. Allen Alley, thank you for chatting with me today, and welcome to the show. Allen: Hey, Jimmy, it’s good to be here. Jimmy: Absolutely. So Allen, let’s start at the beginning. Can you just give me your thoughts on the opportunities own program, what it means to you and why you decided to get involved? So I sent him over a note not a link. And he, being a former tax attorney, wrote me a four-page memo back in about 24 hours that is, “Oh my gosh, Allen, this is perfect for what we do,” and went into all the reasons of why that is. So we started working about a year ago and have partnered up to create the Obsidian Opportunity Fund that’s focused on applying opportunity fund investing to renewable energy. And our specialty is really solar power. Jimmy: Very good. And that that partner of yours, that’s David Brown. Is that correct? Jimmy: Very good. Before we dive into everything that you guys are doing, could you give me your personal background story briefly? How did you get to where you are today and where did you get the passion for renewable energy? Where did that come? Allen: Sure. So I’m a mechanical engineer by training. I worked at Ford and Boeing designing parts for cars and airplanes, and then got into computer graphics. So I’m about the same age as somebody like Bill Gates, and was kind of experiencing the same things that he was experiencing throughout his career. Got into venture capital. 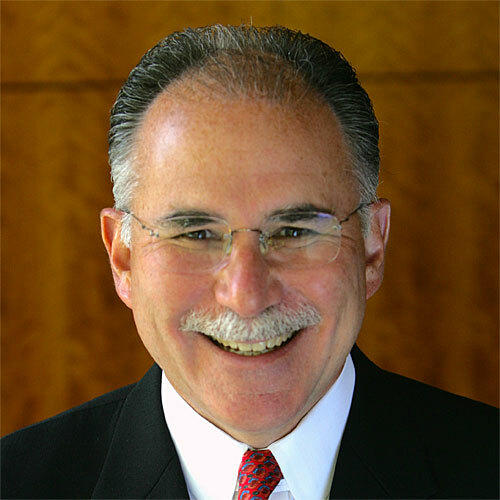 Was recruited by a Boston-based venture firm in the late 1980s, Battery Ventures, and started investing in high technology companies all over the United States, and had been developing a portfolio of those. One of my investments was InFocus Systems here in Oregon that we invested in and took public in the early 1990s. I came out and joined InFocus. I had experience on the West Coast when I was a little kid from kindergarten through fifth grade. I was in Seattle. So I wanted to get back here from Boston. Joined InFocus, helped grow that company. And then I started a semiconductor business that had a chip that went into flat panel displays that we identified that flat panel displays of all types were going to replace CRT’s and developed a technology to help enable that to happen. We started the company in ’97. We were public in 2000. We sold about $1 billion worth of semiconductors in our first 10 years in business. The company still around today. And then from there, I got involved in a little bit in politics. But going back to my roots of venture investing, I’ve been doing that privately now for the last 10 years or so, and have been investing in Oregon. Renewable energy, electric vehicles, sort of technology in that space, has always been an interest of mine. In fact, I used to say that digging black stuff out of the ground and combusting it in the atmosphere is so crude. It’s embarrassing as a mechanical engineer, that that’s the best that we can do. And I’ve been fascinated with alternative ways of producing power that has less of a footprint on the environment, and got involved with my friend David in developing some of the solar projects that we’re doing. Jimmy: Very good. So nowadays, I know you guys, you and David and Obsidian, are focused on renewable energy development in opportunity zones, in particular. What is your overall opportunity zone fund investment strategy? Is it just utility scale solar development at the moment or are there any other asset classes in the mix? And which particular geographies are you investing in? Allen: Sure. So if you kind of look at it as a target, the center of the target would be probably solar in opportunity zones. And that’s just because that’s our background and our experience. If anybody has experience in developing renewable energy, they know it’s extremely complicated to get it done, managing all the different investment vehicles that go into it, but also managing the regulatory, working with the utilities, the land use issues, all those things, it makes it a very complex investment to put together. And we have specific… And then you’ve got technology piece of it, as well. So we have specific capabilities there. But then if you start moving out from that center, things like pump storage in a rural area, or wind in a rural area, or batteries connected with a solar panel system, would be something that we would do. Now I’m moving a little bit further out from that. Any kind of infrastructure that we connect to the grid is something where we have expertise. And then we get into developing properties in these rural communities. So we have relationships with county commissioners and city counselors and in rural communities. And if they have a property, we can diligence those properties in those rural communities where other people might not go. Because we’re there for a multi-hundred million dollar solar project, we can look at their $1 million building in a rural community that other people might not have an opportunity to do that. So we kind of look at it as concentric circles with the center of it being our solar development. Jimmy: Gotcha. So let’s back up for a moment. Actually, I have a very basic question for you. For those unfamiliar with the ins and outs of solar development, and by the way, I’m one of them, admittedly, what does what does a solar development project look like exactly? What does it entail? What all is involved? Can you walk me through the steps of that? Allen: Sure. So let’s start a basic solar development. The things that you’re gonna look for is land. Obviously, you need some of that, located near power lines. So you can’t put solar panels that are a long distance away from transmission of power,because if you do, the cost of interconnect is so high, it overwhelms the project. So you ideally want to find the power lines in sunny places with low-cost available land that’s developable. And those are some of the basic things that you need. And then you have to have an interconnect. You’ve got to be able to connect to those power lines. You have to be able to transmit that power to somebody who can purchase that power. You have to get through all the land use and regulatory issues of wetlands, ancient artifacts that you could find on the land, all kinds of issues that that you might not really consider otherwise. So it’s a fairly complex project. And then they tend to be tens of millions of dollars at the low end to hundreds of millions or even a billion dollars at the high end. So they’re very large scale projects. And they’re in rural communities, usually. So getting workforce out to those communities and that sort of thing is a challenge, as well. But because we have background and experience in that area, we can either develop them ourselves or we can certainly do a good job of diligencing projects that we would invest in. Jimmy: Gotcha. So you speak about rural communities. Where specifically are the rural communities that you’re investing in? Are you entirely in Oregon? I’m looking at a map of Oregon and overlaid with its opportunity zones right now. Which zones, which locations, are you in Oregon specifically? Allen: So we’ll do anything in the United States. It tends to be in the sunny places. So it tends to be in the western United States, in the high deserts or south. In Oregon, it would be in the central part of the state or the southern part of the state. Lake County is a county that we do a lot of work in. But it could really be anywhere. There’s power transmission. One of the reasons why this works is there’s power transmission from the dams that tend to be up north here on the Columbia River down to California. So there’s a corridor of transmission that pretty much makes it relatively easier, let’s say possible, to cite these things in Oregon and California and even in Washington and get the power where you need it to go. Jimmy: Very good. So you mentioned that the first step is finding the available land. How do you source your land deals? Do landowners in these zones, in these opportunities zones, specifically come to you asking you to build solar or do you approach them? How does that work exactly? Allen: I’m new to the solar development business. And one of the things that was kind of amazing to me is very little of the projects get built on federal or state land. And you’d be surprised to go to some of these areas where if you look in California, there’s vast what look like deserts. And there’s no panels on the deserts. And then right next to it is irrigated land. And there’s panels on the irrigated land. But it turns out that it’s easier to work with private individuals to lease or purchase their land. And it is the state or the federal government. Jimmy: So that’s possibly a missed opportunity there? Allen: Yeah, I think it’s a missed opportunity. And I hope in the future, the state and the federal government’s kind of figure it out. They’re promoting these policies. But it’s very difficult to do development on that land. So largely, it’s private land that we’re developing on. Jimmy: And who comes to who? Do you go to the landowners or will a landowner who’s interested in solar development come to you or how does that work? Allen: I would say, generally, we go to the landowners. Now if there’s been projects that have been developed in a community and the projects have been good for both the project and the community, that people might approach you. One of the problems is you have to aggregate land from several or many land owners. So it isn’t, you know, one guy with, you know, 100 acres. That probably isn’t going to do it. You’re more biased to make sure that the land is near the power lines. So you really want the land that’s near the power lines. So it’s fairly limited about where the valuable properties are for doing this. It’s very much based on how close to the power transmission you can get. Jimmy: That’s understandable. And what’s the compensation model there? Are you leasing the land from the landowners or are you providing them with some of the revenues from the power that you develop or that you produce? Allen: Sure. So if you lease the land indirectly, you’re providing the revenue from the power because if you didn’t have the power, you couldn’t lease the land. So in some cases, you are leasing the land. In some cases, you’re purchasing the land. It’s not a hard and fast rule. It is, I would say, dramatically more lucrative to put panels on the land than it is to use it for the use that it currently is being used for. And in most cases, that’s high desert grazing. Generally, the land that we’re using is not cultivated. You know, it’s high desert. So a landowner can make a lot more money putting panels on it than they can any other way. Jimmy: Very good. So I’d like to talk about how you’re funding these projects and how you’re raising money for your opportunity zone fund. Who is your capital base? Are you hearing from high net worth individuals or corporations, family offices? Who are you receiving interest from exactly? Allen: I would say, given the I’ll call it unique nature of the product that we’ve come up with, and that’s the financial product that we’ve come up with, it tends to be people with what I’d call patient money, meaning you can invest the money. You don’t need current income. And 10 years from now, you can generate a return off that. And that’s a model that that is sustainable for you. So that tends to be family offices. It tends to be individuals that have had sort of that once in a lifetime liquidation event where, you know, somebody sold their company. And they have more cash than they ever thought they needed and putting that cash away. And preserving that and growing that cash over time with the tax advantages of an opportunity fund and opportunity zone investment is attractive for them. You know, you can summarize it by saying that folks with patient equity capital are the folks that are interested in what we’re doing. Jimmy: Yeah, and it does tend to be family offices and/or individuals with those big liquidity events like you mentioned. Before our call, you sent over the Obsidian Opportunity Fund investor summary. It’s a little PDF that I’ll have linked in the show notes for listeners out there. But one part of it discusses your preferred equity model. For potential investors listening, can you describe your preferred equity model and how it differs from the goals of current income focused investors? That’s the way opportunity funds, opportunity zones, that’s the way the law is created, that any kind of current income that you get is going to be taxed at your normal tax rate. So we say, “Well, what if we architected something where you put your money in, and it just sits. And then in your 10, it comes out.” And we started to talk to people in the industry. We looked at it ourselves. And it turns out, it’s a really, really interesting thing because everybody else wants current income. So we’re able to go in on a $100 million project and say, “Well, we’ll put in 20.” And that 20 will just sit there for 10 years and then it comes out at the end in terms of equity. Everybody else has been paid out because they’re all current income investors. And they’re generally paid out almost exclusively within that 10-year period. And then what we do is we end up owning the facility, basically. We own the panels after 10 years. In some cases, there’s still 5, 10, even 15 years left on your purchase agreement, your power purchase agreements. So there’s a net present value of the cash flow that you could easily calculate what that ownership is worth. In some cases, you might be flipping to market rates. And then we’d have to sell the power at market rates. So what we do is we put together a portfolio of those investments. Some of them have long power purchase agreements. Some of them are at market rates. But the balance of that portfolio is what we put together for our investors. And we believe that, generally speaking, we’re gonna get about two times on your investment. It might be a little bit more than that. It might be a little bit less. But generally speaking, that’s our target hurdle rate for our investments, which is a 7.2% compound over that 10-year period. And it’s tax free. So for patient investors, that’s a pretty good model. Jimmy: It’s a pretty good opportunity, you might say, pun intended. Allen: Yes. We try not to say opportunity 100,000 times when we’re talking to somebody like this. But yes, it’s a great opportunity. Jimmy: It’s hard to avoid sometimes. So it is a rather il-liquid investment, which is why you really do need patient capital. You know, your investors aren’t going to need the money back for a decade or so. At the end of the 10 years, you own the panels. And you can calculate the value based on the net present value of future cash flows. What happens then at year 10 and beyond? Are you content to collect the cash flow coming in? At a certain point, you need to exit. What’s your exit strategy? Allen: I would say most of the time, you’re going to be selling it to the counter-party that has the power purchase agreement. So you can look at a 15-year power purchase agreement at this rate. And the counter-party can give you a discount of future value and flip it back into what they pay for it. And they just buy it from you. It’s just a really simple mathematical calculation. And those will almost certainly yield more than two times on our money. We architect them that way because we can do that math today. I mean, if you think about it, in the real estate analogy, it’s like we have a building that’s fully leased for 25 years at unknown rate. And that’s kind of a remarkable asset. And that’s exactly what we’ve got, as, you know, we have a building that was a $10 million or $100 million building. And it’s leased with a great counter-party for a long period of time. So that’s very fungible. So we’re not too concerned about that. In some cases, it might be so lucrative that we just take the cash flow. And we’ll deal with writing up the investment and giving the investors their write-up on their basis at that point in time. But we think most of the time, we’ll be flipping them and selling them to the counterparts. Jimmy: Very good. That sounds like a pretty good deal structure you have in place there. And so Allen, I know that panel prices have plummeted and installations have skyrocketed with regards to solar installations over the last decade or more. Can you give me the high level overview of solar development? Where are we at with solar power technology? And what do you expect to see over the next decade or so, you know, while you’re waiting out those 10 years? Allen: Well, I’m kind of the new guy to this area. David has been doing the solar development for the last five or six years. But my background is in technology. And yes, panel prices have come down. Efficiencies of the panels have gone up. There hasn’t been any sort of discontinuous increase where, you know, it goes from 20% efficient to 40% efficient or something like that. It’s been kind of a methodical increase of a half a percent or a percent here at mass. We expect to see that continue. I don’t see panel prices being too volatile, down or up. We think that’s pretty steady. The cost of all of the interconnect and, you know, that sort of thing, that’s pretty straightforward. A lot of it is based on the cost of the raw materials, the copper and the aluminum. Inverter technology has gotten slowly better. But they’re very, very efficient. That’s what translates the power from DC to AC. We transmit the power in AC. So from a technology standpoint, I think it’s pretty stable. Lifetime of the panels seems to be right around 25 years. They decay a few percent a year. But that’s something that you model. And that’s been very consistent. So I don’t see a big technology risk here as opposed to some other investments that I’ve done. I think the really interesting thing in this area is going to be battery technology and how batteries affect this. That basically, once you can add batteries to the panels, now you can transmit power in the evening, as well. And you can over-build the facility. So if you have a 50 megawatt facility and you have contracts for 50 megawatts during the peak hours, if you can over-build that and store 50 megawatts and deliver that at night, you now have basically a giant battery, you know, that can transmit the power during the day. And then you can transmit what you’ve got at night. So solar facilities then can be used like natural gas peaking facilities, that you can actually dispatch the power based on demand, not on power generation. And I think that’s going to make things much more valuable. And batteries are at their tipping point right now where they’re just about at the point where I think you’re gonna see broad deployment of the batteries. And once you have that, renewable energy pretty much just overwhelms anything else. Jimmy: Yeah. Well, thank you for that. You answered my next question. I was gonna ask you about energy storage and how far away we were from getting that to that point. So we’re pretty close. Go ahead. Allen: There’s other technologies like pump storage and that sort of thing where you can pump water, store it, and then run it through a turban. Dealing with water out here in the West is always fraught with issues. The land use issues are our difficulties. Now if you add water on top of that, that’s problematic. Not just extracting the water, but then changing the temperature of the water, reintroducing water at a different temperature than what it was before. You know, as a technology guy, I think batteries are actually going to be the thing that will solve the problem. I think the manufacturing muscle of batteries used for not only utility scale storage, but all the automobiles and things that are gonna be battery powered, battery stored, energy stored, is going to overwhelm all that. I’ll say, you know, it’s 10, 20 years where you’re gonna see that happen. You’ll start to see ot om the next five, six years. But over 10 to 20 years, it will absolutely happen. Jimmy: Yeah, we’re already starting to see it a little bit. But, yeah, you’re right. The batteries are still I think a little bit too expensive. Correct me if I’m wrong. But the prices certainly are coming down. And the technology is getting better. Allen: Yeah. I mean, we’ve seen it in the solar panels. I saw it in flat panel displays. When I started in the flat panel display business, $100 an inch was sort of this unbelievable goal, that if we could get to $100 an inch that would be amazing. So your 42-inch television set would be $4,200, which is now $400 or less, $289 on Black Friday or something like that. Jimmy: Something like that, yeah. Allen: Yeah. And it was just manufacturing muscle. It’s nothing but… It’s not like somebody invented some magic technology to make it cheaper. It’s that you get the manufacturing guys on it. And the glass gets thinner. And the panels get larger. And the coatings get more uniform. And throughput gets higher. And they just beat on it until it’s just brute force manufacturing efficiency that does it. And I think the same thing is gonna happen in batteries. Jimmy: Yeah, I think you’re right. We’re seeing the same thing in batteries right now. Overall, why invest in solar? Can you give me the business case beyond merely the opportunities on tax incentive, but the underlying investment itself? And I think maybe we’ve touched upon this already a little bit. But can you go into it a little bit further? Allen: So this sort of loops into the opportunities on investment. We see them as kind of hand in glove. So opportunity zones, when we saw it, it’s like, “Wow, this is the first time we’ve seen the government prescribe something in very high level terms where there’s unrealized gains that are locked up as locked up as ones and zeros on computer screens, that if you realize those gains and actually turn them into US dollars and then create a bias for those dollars to flow to certain zones in the United States that are generally lower income zones, will there be a macro benefit to that, without being very prescriptive about how you do it, what industries do you invest in?” We applauded that move and thought that was a great thing to do, that you take a lot of friction out of the system and you’re basically letting the free market decide where that money should go. And we actually altruistically said, “Look, we’re already in these rural communities. This is a great thing for these rural communities. Let’s figure out a way to help make this happen.” The other thing is that because we believe we’re doing exactly what the intent of the law was, a lot of other people are very hung up about, “Oh, my gosh, you know, we got to get this rule or this regulation or the IRS has to be crystal clear on this or Treasury needs to rule on this.” From our standpoint, look, as long as you’re going right down the middle of the road, you don’t care what’s happening at the edges. And we’re going right down the middle of the road. These are fixed assets. They’re absolutely in opportunity zones. They absolutely are equity investments that we’re making. We take the equity risk with those investments. It is kind of pure vanilla opportunity zone investing. It also happens to be solar energy, which we’ve have a lot of people be very interested in us because of the double bottom line or triple bottom line advantages to that. Especially patient capital likes that. The counter-parties are great counter-parties. So we think it just fits perfectly with exactly what the intent of the law was. It’s kind of this self-reinforcing loop of why do you do solar in opportunity zones? Well, it all kind of reinforces itself and just enhances the investment for those that participate with us. Jimmy: And so what is the case for solar in a rural community, as opposed to an urban community? Allen: This is utility scale solar. So it’s all going to the grid. And it’s most of it goes to urban. The power is actually used in urban centers. Solar is down to being competitive with any form of power productions. And we think it’s the best form. So coal, gas, nuclear, anything that you want, solar’s right down now to basically parity, cost parity. And it’s really depends on who is doing the analysis. I think if you’re a coal supporter, you can probably make coal look a little bit less expensive. If you’re a renewable supporter, you can probably make the renewables less expensive. But it’s not 2X or 3X or 5X the cost anymore. And, you know, again, as a technology guy, I’ve seen this trend happen over and over and over again. We’ve reached the tipping point where renewables and specifical, we believe solar, are going to just continue to grow. I mentioned that the solar panels, the yearly fluctuation, on sunlight in the areas that we’re putting them in is very small. It’s just a couple of percent. Very different than wind. Wind is much more unpredictable about month to month, week to week, variations in wind. It’s good and low cost and another candidate for better backup. But the baseline of power that solar can deliver on a very predictable basis, yeah, gives us a huge advantage. Jimmy: Very good. Well, I exposed a misconception that I had about your projects. You’re building grid scale solar panels. So you’re not only delivering to the rural areas, you’re delivering throughout the state, throughout the country. Yeah, so it’s definitely going to the urban communities, as well. Sorry for that misunderstanding I had there. Allen: Yeah, and you can think of them as power plants. I mean, they are power plants, right? Allen: So it’s a coal or a gas power plant that just happens to be located in a rural community and has much less of an environmental footprint than one of those other plants. Jimmy: Right. And the only reason why we don’t have more of these is that we’re only just starting now to reach grid cost parity. And over the years, as the price continues to come down, solar will only begin to make more and more sense as opposed to the traditional fossil fuels. Allen: Yeah, I think that’s absolutely true. And in fact, you know, if you think about it, if I told you, “Hey, I can produce power by sticking a large piece of glass in the sunlight and electrons come out together. And we can have basically as much of it as we want. And once you paid for the panels, it’s sort of free,” we will have ubiquitous, low cost CO2 free power available. The power problem is going to be solved. Even with electric vehicles coming onto the grid, there’s no question it’s going to be solved. If you’re a technologist like I am and you’ve seen these trends before, you can see that point. There’s no question that we’re going to get there. As a guy that spent some time in the government, as well, we’re myopically looking at where we are at this instant in time and in many cases, making regulations that go out in time without kind of looking up. We’re doing a lot of things by staring at our feet rather than looking ahead. That’s in transportation. That’s in energy. But you can absolutely see where we’re gonna have ubiquitous CO2 free, cheap energy available, at least in the United States, for sure. Jimmy: Yeah, within the next couple of decades. Is that right? Allen: Yeah, absolutely. And on a government planning time horizon, a couple of decades is like a couple of years for an individual. Jimmy: Yeah, that’s pretty quick, right? Jimmy: So you mentioned the IRS guidelines. You’re not waiting on any further clarifications. Is that right or just you’re good to go because you’re just going right down the middle. It’s a plain vanilla investment, as you said? Is that right? Allen: Yeah, we are. 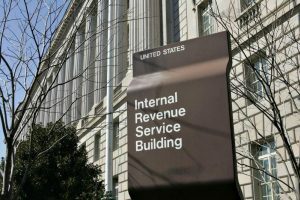 There’s some questions about some tax treatments for certain types of gains. But I don’t think that’s going to just make somebody’s decision, at least the people that we talk to, about whether they do or they don’t invest. There’s no risk that… You know, our projects are right down the middle of the road. So it isn’t like the IRS is gonna flip back and say, you know, “Plant and equipment, 100% of which is located within an opportunity zone, is somehow going to be disqualified.” It isn’t like this stuff can move. It isn’t like doing an investment in a company and then the company gets merged with another company. It’s not in an opportunity zone and what happens with that? It’s solar panels in an opportunity zone connected to the grid doing exactly what the law intended them to do. So yes, we’re up and running. We’re taking investments right now. We have three projects right now I think that can absorb up to about $50 million of opportunity fund investment. The projects themselves are much bigger than that. But there’s a certain equity slice that we participate in. And we’re taking investments for that right now. Jimmy: Right. You said you typically participate in roughly 20% of the total investment ballpark? Allen: Yeah, that’s about where it is, about 20% of the stack, right. Jimmy: Very good. And what other projects do you have on the horizon? Are you looking to do get involved in more projects beyond the three that you have today? Allen: Yeah, we have line of sight to, I’d say, $100 or 200 million over the next 12 to 18 months. And then a little further out, we have a project, one large project, that could consume $200 million by itself. So we think over the next three years or so, five years, we’ll be $500 million to even $1 billion worth of opportunities, investments, in these types of projects. Jimmy: Good. So do you anticipate your fund will remain open to investors over that time period for the next five years or so? Allen: Yeah, it has to. You know, part of the service that we provide as fund managers is syncing up capital gains that have to occur in a certain window of 180 days with deployment of capital that has to occur within certain parameters of the law, as well because they wanna make sure that we’re not just sitting there holding that money. So we have sort of rolling funds that we will close, based on that timing. So we’ve got to make sure that we have capital deployed. And that’s why we need a pipeline of projects. And we will open and close those funds and include or separate out, put into a different project, some of the projects that we’ve got in order to make all of that sync up. And that’s really our responsibility as fund managers. And that would be difficult for an individual to do that, really difficult. Jimmy: Very good. Yeah, that makes sense. I know there’s a lot of or there are a lot of incentives for renewable energy development, for solar development. Are some of those beginning to phase out? And do you kind of see opportunities zone as being a way to bridge the gap until the cost really comes down a lot further? Allen: Yes, they are phasing out. And we think opportunity zones will be a way to help bridge that. We still think that we’re nearing a tipping point now, where the solar developments and then the ability to produce power is pretty much at parity without the subsidies anymore. It depends upon who’s doing the math, you know, which outcome he wants to have. But like I said, you’re not gonna come out with 2x or 3x the way you used to for solar. It’s approaching parity. And we think opportunity funds with professional fund managers, well-diligenced projects… Not every project is going to pencil. Not every project is created equal. Not every project has all the right counter-parties, and the power purchase agreements, and all the land use things in place. But that’s something that we’ve done and we can help diligence. So that will have a great portfolio of projects that can yield the kind of returns that our investors need. Jimmy: Very good. Well, Allen, we’re getting toward the end of our time today. But I wanted to ask you a couple questions just to wrap things up. For you personally, looking back over your career, what’s been the most memorable investment that you’ve made? Is there anything in particular that stands out? Allen: Wow. I’ve been fortunate enough to participate in a lot of different industries. So computer graphics. I think, you know, it probably has to be the development of flat panel displays because that was one that we were there at the very, very beginning of. I worked for a company that did some really innovative research into liquid crystal technology. That was InFocus. And to see something at that embryonic stage and to see some of the very first flat panel displays that were thousands and thousands of dollars for 10-inch display and to work with people to, you know, in way, help create that transition with a little intellectual property that we had and to see it today. I mean, you almost can’t find the cathode ray tube anymore. I mean, they just don’t exist, right? That was really remarkable. And I’ve been around in…you know, we were evaluating investments in cell phone technology, the first analog cell phones that came out. And we actually passed on that one. We passed on Dell computer because it was a guy selling computers out of his dorm room. And we thought that was about the dumbest thing we’d ever heard. You know, I’ve seen lots and lots and lots of technologies. So yeah, I’ve seen lot of waves. And that’s why I think I can speak with some background and experience in identifying technology waves and seeing the trends and helping to navigate through that. And I think that’s why it’s valuable in the work that we’re doing with solar is this is just another one of those waves that I’ve seen many, many times. And I have a pretty good feel for how it’s going to evolve. Jimmy: Yeah, very good. Yeah, I agree. When put like that, this is just another technology wave. And you certainly do have a lot of experience with those over the years. Alan, what about your political ambitions? Possibly a future run for governor in the works, maybe I think 2022 for Oregon? Allen: I’m still involved politically. And it’s something that I think is really, really important. I’m sort of doing my politics through the investments that we’re doing right now. I think creating great investments and creating great opportunities and helping our moving to a more sustainable energy profile is really important in how I can contribute now. I’ll always be a voice. The experience that I’ve gained over time and the investment that people have made both monetarily and in educating me, I’m still paying that back. And I feel a great debt and sense of responsibility for those investments that folks have made. And I don’t just mean dollars. I mean, they’ve educated me on water issues, and land use issues, and transportation issues, and things like that. So being part of the economy here and trying to do good things, and trying to be a voice, and bring that technology background and perspective to it, whether it’s autonomous vehicles or solar panels, I think is a really important thing. But I don’t see me running for any office. Jimmy: I had to ask. I was curious. You’re doing good work through the private sector. Allen: Yeah. No. This is my roots. I mean, this is what I’ve done for my whole life. I took a little 10-year detour into politics to understand it. And it was a great eye-opening experience and incredibly valuable. I probably wouldn’t be doing the opportunity fund investing, if I hadn’t done that. I just wouldn’t have visibility to it. And I think it adds to our background for our fund. In the energy world politics, state laws, federal laws, it’s all very intertwined. And understanding how to navigate that process, both I and my partner, David, have, is very valuable. And it’s an asset both to the communities we work in and our investors. Jimmy: Good. Well, Alan, I’m gonna wrap it up here. But before we go, can you tell our listeners where they can go to learn more about you and your opportunities zone fund? Do you have a website you can direct them to? Allen: Yeah. So the best place to go to start is the website. It’s obsidianopportunityfund.com just all spelled out in one long string. And there’s links in there to… One of the things that I think is interesting is we’ve uploaded the opportunity zones to Google Maps. Most of the other places you go, it’s not integrated with Google Maps. So if you’re looking for, you know, sort of points of interest, it’s very hard to determine whether those points of interest or in or out. We don’t have every state yet. We will. But it’s one of the things that we’ve got. They’re just up there. People can reference them. And you can contact us through that website. You can contact me or my partner, David. And we’ll get back to you and talk about what we can do. Jimmy: Excellent, excellent. So for my listeners out there all, have the links to all of the resources that Alan and I discussed in the show notes for this episode. And you can find those show notes on the opportunity database website at opportunitydb.com/podcast. And I’ll link to the Obsidian Opportunity Fund website. And I’ll also have links to the Obsidian Opportunity Fund investor summary and their Google map that they’re using. Alan, I want to thank you for taking the time to talk with me today. I really appreciate having you on the show. And I hope to talk to you again soon. Allen: Jimmy, thanks. And thanks for your leadership on this issue. You’ve done a very, very good job. And the podcasts are well worth listening to. Jimmy: Awesome. Thanks for the endorsement, Alan, I appreciate it. Have a good one.